For dinner last night, Kyle’s family went out to celebrate Travis’ (Kyle’s brother) birthday. His birthday was last week but the timing never worked out. We went to a new local restaurant, Revel. And now on to Day 7 of the 10 Day You Challenge! 1. 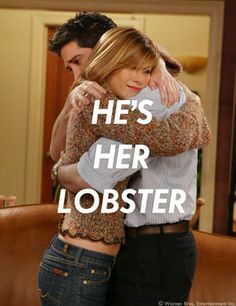 To be Mrs. Kyle Harrell and live a long happy life with my lobster. 2. To find the perfect first home with Kyle. With no SNAFUs. More of Europe, Australia, New Zealand, Zion National Park, stuff on the East Coast (Boston, DC, Pennsylvania, etc. ), Japan, etc. 4. That my family (pets included) and friends stay healthy and happy. 5. Let’s get cheesy- that the world was a safer place. Enough with all the violence. Can’t we all just be friends? 6. That I could eat dessert with every meal and it wouldn’t affect my health/weight negatively. Since we’re making wild wishes here, I’ll just change that to, dessert acts as a super metabolism booster and gives me a ripped body WITH abs. 7. That I could meet a penguin in real life, play with it, and become best friends. Penguin onsie (a wardrobe staple) and a penguin ornament from the awesome Scott. Pretend I’m a genie and can grant you 3 wishes (with no repercussions). What’dya want? Hahahahaha penguin! You are adorable. I want to go to Antarctica and Joe always tells me that I’ll hate being cold and I respond that I just want to play with the penguins then I’ll go back on the boat. LOL that sounds like the best vacation ever!! I went to Antarctica this last December. It’s their summer so it was between 25-45 degrees and sunny! I was too warm most of the time. The penguins are really cute but you’re not allowed to play with them. Hmmmm 3 wishes. I want Betty to never want for anything in her life and to know that she will find true happiness someday. I want to run however much as I want and not have to worry about injury or soreness. And I really want fro yo. Right now for breakfast. LOL thank you so much, you’re the sweetest! LOL it sounds like a magical place out of a story book! LOVE IT! LOL yesss… HAHA LOVE your wishes! So cute! I would like to work part-time but get paid a million bucks. So then I could run, do yoga, cook and do all that fun stuff everyday of the week. And also without getting injured. And eating chocolate/cookies/ice cream actually helped you burn calories. OMG I should have added that to my list of wishes!! Omg the title of this post is too perfect! Awww your wishes are so sweet! Amen to your dessert wish! To travel all over, agree with the metabolism boosting desserts, and to meet the perfect guy haha love the post title! It makes me happy that the penguin I sent makes you happy! I bet my sister could set you up with meeting one. We need to coordinate a Disney World race to make it happen tho! You want to eat rainbows and smiles??? All you have to do is grill up a unicorn filet! Love the onesie! I’m with ya on #6, though. Abs and chocolate? Can’t go wrong!